Superior for moisture retention for all types of landscapes. Never put mulch around citrus trees. Moisture is good for plants, but too much or in the wrong places can cause mold and open the plant/tree up to other diseases. Avoid using mulch in places where drainage is an issue, solution- make a small dry river bed out of stone. Neatly mulched beds improve the appearance of any landscape. 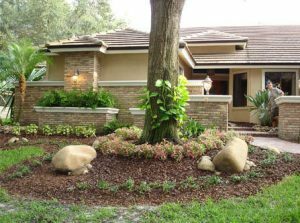 But beyond its appearance, a layer of mulch provides many other benefits. 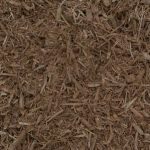 Mulch protects the plants’ root systems and can add much-needed nutrients to the soil. Mulch slows the erosion of topsoil. 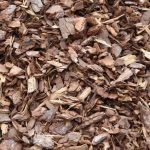 Though applying mulch may seem like a chore, it can actually save you effort later in the season. Because mulch helps to prevent weeds and retain moisture, you’ll spend less time weeding and watering your garden and more time enjoying it. 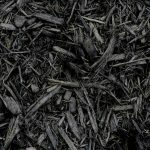 In order for mulch to work and look its best, you must choose the best material for your garden and apply it properly. Rock Solid is happy to provide this information as a service to you. Small chunks of pine up to 2″ in size, but mainly 1.5″, dark brown in color, literally is the bark off of a pine tree. Large pine nuggets, large chunks bark off of a pine tree, about 1”- 4” size, dark brown in color, large chunks. Literally is the bark off of a pine tree. Dyed black mulch, small black shreds of hardwoods. Very economical, easy to transport & install. Sold by the yard. Dyed brown mulch, small brown shreds of hardwoods. Very economical, easy to transport & install. Sold by the yard. Shreds natural light brown or natural tan in color very economical, easy to transport & install. Sold by the yard. Dyed red shredded mulch, our most popular product. Very economical, easy to transport & install. Sold by the yard.